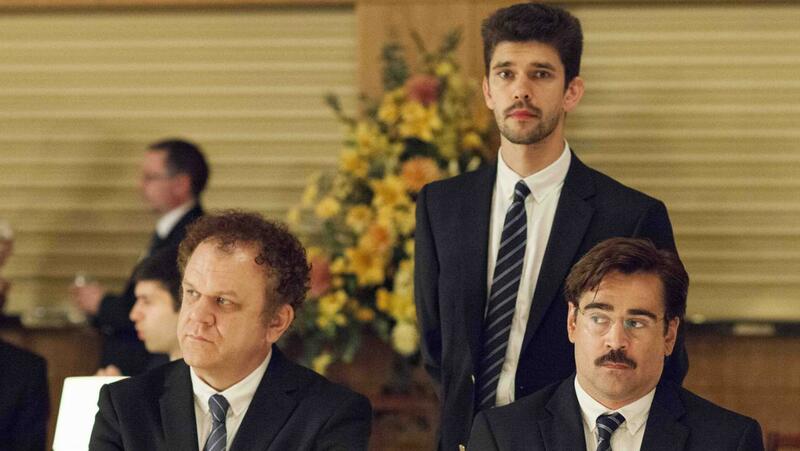 The Lobster is about as high concept as it gets. In a mildly dystopian future, any singletons must report to a hotel. Once there they must fall in love within 40 days, if they fail to do so theywill turned into an animal of their choice. Most choose dogs. Colin Farrell's David chooses a lobster because "they're blue-blooded like aristocrats, they live for hundreds of years, are fertile their entire lives and I like the sea very much". But crustaceanhood is not inevitable. He can extend the amount of days he has left by hunting down free-roaming singletons with a tranquilliser rifle, or try his best to find a compatible partner amongst the rest of these sadsack singles. Gradually Lanthimos expands the borders of his world: exploring the world of forest-dwelling militant singletons and their guerrilla activities in a society only fit for happy couples. The film is strange from top to bottom. On top of the animal transformations, Lanthimos shows us a society composed of adult children who suffer a life under byzantine rules, peppered with bizarre punishments and sudden acts of extreme violence. English is spoken in a faintly slurred monotone, as if the speakers are slightly drugged. What they actually say is honest to point of being surreal - the characters generally saying exactly what's on their mind at all times. As a cinematic experience it's strangely hypnotic, like being stuck in a dream that's constantly on the brink of curdling. I can only really find two points of genuine comparison; the first are the monologues of satirist Chris Morris, the second is playwright Eugène Ionesco's Rhinoceros - about the population of a town slowly turning into rhinoceroses. Both these pieces and The Lobster fit into 'theatre of the absurd'. This is drama exploring the idea that human existence is unguided and ultimately pointless. It argues that if there's no meaning or purpose to life, then logic begins to dissolve, being replaced with the irrational and bizarre. 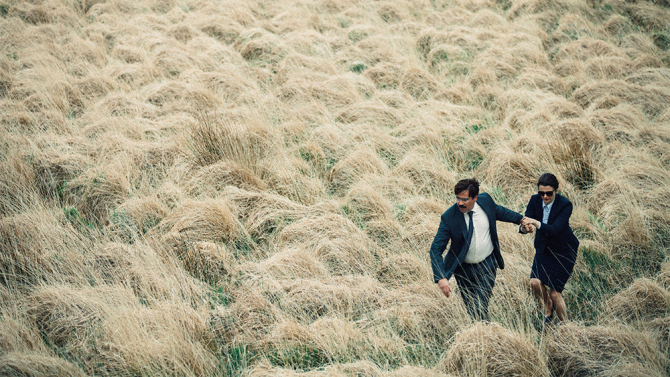 In The Lobster, Lanthimos applies this philosophy of meaninglessness to romantic relationships, reaching fascinating conclusions. On one hand there's an obviously satirical examination of people 'matching' with each other for the flimsiest of reasons. Lanthimos' couples define compatibility with each other by both sharing maladies; for example short-sightedness, limps and propensity for nosebleeds. There's clear parallels in the way we use Tindr, OkCupid and Match.com - searching for people who we can connect with on a completely superficial level. Within the narrative this mode of thinking eventually infects even true love, Lanthimos characters unable to distinguish the superficial from the genuine. I think it's a little too neat to summarise The Lobster as an allegory for online dating, rather that it intends to expose how expectations of romance have been warped by technology, media and identity politics. In an age of where ego rules the roost, the modern singleton merely seeks a carbon copy of themselves to love, or tries their best to cram themselves into someone else's pre-existing mould. Thing is, The Lobster is so opaque that this is just one of a thousand valid readings. I suspect that interpretations of what's really thrumming away in its emotional core will be strongly individual romantic experience. That said there's some things that can't be quibbled with. For one, this is an unambiguously beautiful film. The inside of the hotel has a The Shining-esque creepiness to it, all repeated geometric patterns and shots of long, telescoping hallways. 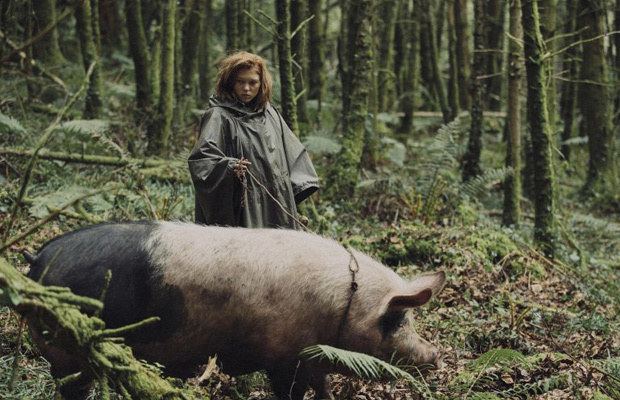 The latter half of the film takes place in the forest, where luscious tangled greenery bristles with dark Edenic eroticism recalling Lars von Trier's Antichrist. Though the two 'halves' occupy opposite aesthetic poles, the film finds a visual unity in its framing. Keeping us on our toes, Lanthimos sticks with painfully long still takes with the aim of unnerving us. In one memorable shot we gaze at the twitching body of a suicide jumper. A halo of blood slowly grows around her head while in the upper right corner of the frame a character calmly sips tea. We gaze impassively alongside her, incriminating ourselves in the process. Another awesome moment is, a bravura slow-motion hunting scene, where we watch the character's flesh jiggle on their bones; faces alive with the fear and thrill of the chase. This slow motion highlights their animalistic behaviour - entirely appropriately given the story. The quality extends throughout the performances, all of which seem to display the satisfaction you sometimes sense in actors when they know they're in a good film. Farrell is excellent as the protagonist, exuding a confused, hangdog innocence that makes even the weirdest events palatable. Rachel Weisz also seriously impresses, turning in a performance that grows increasingly heartbreaking. Ably supported by such luminaries as Olivia Colman, Ben Whishaw, John C Reilly, Léa Seydoux, Angeliki Papoulia and the wonderful Michael Smiley - the film is performative pleasure. One of the best of the year and certainly my current favourite of the London Film Festival, The Lobster is a work of twisted genius. Though high concept, it speaks with intelligence and clarity about the human condition and is beautiful, funny and exciting to boot. A hell of an achievement in cinema and one that'll be remembered for years to come. Did you know you can create short links with Shortest and make money for every click on your shortened links.